Dairy Queen is inviting YOU to celebrate with them as they’re making it rain with FREE ice cream for their birthday! 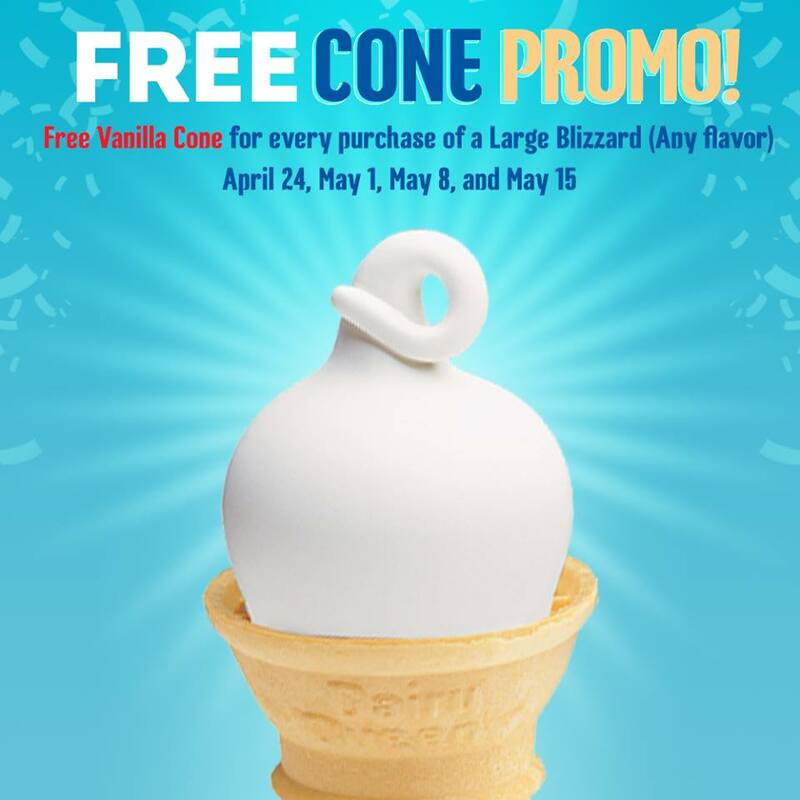 Enjoy P1 Blizzard ONLY on April 10 and FREE vanilla cones EVERY WEDNESDAY starting April 24 until May 15! 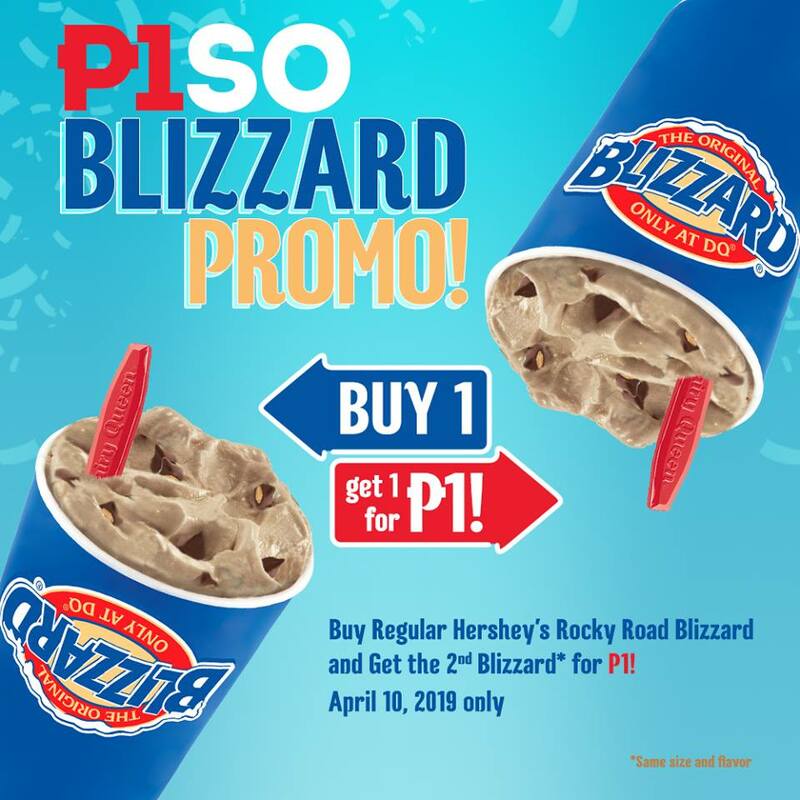 Promo is not valid in DQ stores inside Araneta Coliseum, DQ Enchanted Kingdom & DQ NAIA stores.